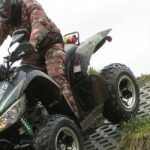 On this quadtour you will receive a safety instruction from the local Tourguide. Then driving in an open pit in the Lusatian Lakeland over sand, forest trails and gravel. The landscape also includes lunar craters and lakes. Breaks are also inserted. The entry-level tour leads through the brown coal mining in the area of ​​Weisswasser. The on-road tour will be driven to various viewpoints of the region in Upper Lusatia. For the special off-road experience the unpaved gravel-cross track with hills is, Jumps and chicanes controlled. Very attractive are also the combined packages with boats and quad. Borders discovery tour to Poland (ca. 8 h) for 299,- €. Before the tour start in Dresden you will receive a thorough briefing and can turn some practice rounds. 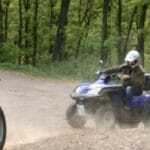 The Quad runs over tour in addition to- and roads as well as by selected field- and forest paths. On the way you can experience the beautiful landscape surrounding Dresden and the Laußnitzer Heide. They roam the Moritzburg Castle and the surrounding area Radeburger. In between, a small snack package is served during a break. 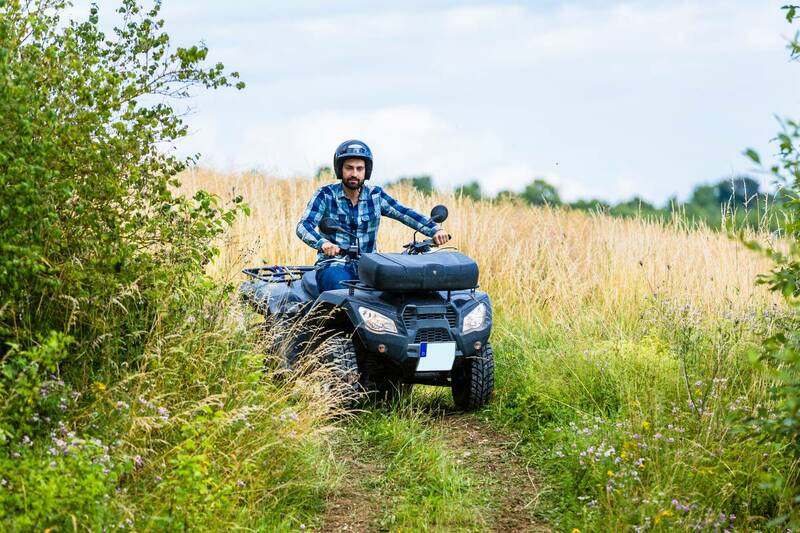 To choose from varied tours are in Muldental, Off-road adventures on fields, grasslands, sand- and gravel roads around Naunhof, as well as special tours for romantics and restaurant visits. All tours can also be booked alternatively or additionally with buggies. It take place on weekend trips instead (for groups on weekdays). Ask for free seats on your desired date. The scenic tour combine open pit, the Lake Zwenkauer and Lake Cospuden. The tour runs through the New Harth to Belantispark with beautiful views. This tour starts at Lake Cospuden and runs through the New Harth and a forest to Lake Zwenkau, Where you can take a break at Cape Zwenkau and view the harbor with modern residential- and boat facilities. On the connection to Cospuden you still marvel at the variety of wildlife. On this tour, road surface and natural soil alternate. intermediate target is the Bockwitz Lake. More than 3 hours of experience, combine the two waters Cospuden and Harth Lake. This new tour takes you along the Mondsee starting at the beach and camping Hohenmolsen. As above, but with longer travel time. This tour in the north of Leipzig is very varied. It is suitable for beginners and experienced riders. You drive through forests and dirt roads: Relaxation and adventure in nature. The tour has a share of about offroad. 70%. Groups of 4 persons individual appointments without foreign participants are possible. 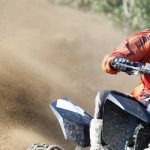 On this quad tour from the racing town Frohburg, contact the knowledgeable local tour guide a safety briefing. 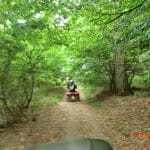 Then you go on a group through little-used routes in the region through forest and meadow by the Kohrener- and Altenburger Land with a trip to the Muldental and the Enduro terrain Langensteinbach in Penig. As far as it is possible, the tour guide guides you on gravel roads and dirt roads. Another possible approach points (depending on tour length, speed ​​and wishes of the group) are the Gnandstein, The airport Leipzig-Altenburg, the riding Berger in Niedersteinbach, the bridge Göhrener, the Linde Vorwerk or toboggan run in Kohren-Sahlis. From 2 persons individual dates may already be agreed daily. In the end, all participants will receive a commemorative medal. The tour is available as a half-day- (99 €, ca. 4h) and a day trip (198 €, 7-8h). 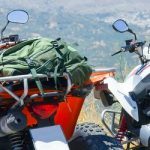 This fantastic ATV tour combines nature and driving pleasure. The tour takes you through the picturesque scenery of the Erzgebirge / Vogtland. On the routes await hill and dale, idyllic routes and road sections. A good mix. 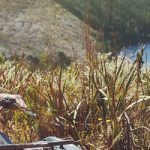 Before starting the quad tour you get a professional training in the handling and technology of your quads, so you can fully prepared to hang in the wind shadow of your knowledgeable tour guides. If you want you can also stay on site, incl. Whirlpool, Log cabin sauna, Hot Tube. The rate is payable on site. Take a tour with the self-balancing Segway. Similar to the Seggy tours, almost all possibilities in Germany, Austria, Switzerland and other countries are presented with booking possibility or voucher sale, also in Dresden and Leipzig.